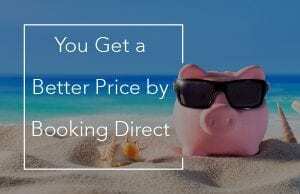 While shopping for your next vacation you may have come across articles and ads encouraging you to “Book Direct”, but may have been unsure of what that means. Booking direct means booking your vacation directly with the rental management company rather than through booking sites like VRBO, Booking.com, or Airbnb. 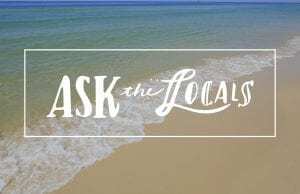 So why should you book direct with a vacation rental manager for your next vacation? Booking sites don’t actually manage any vacation rentals. 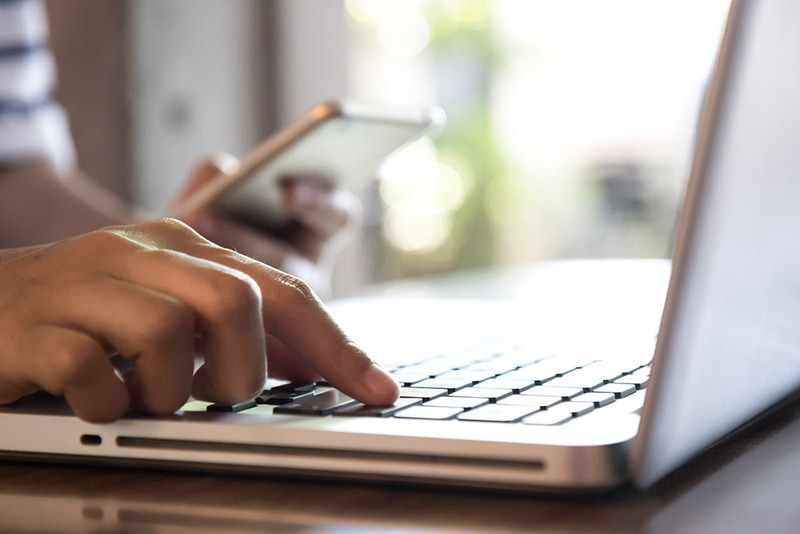 Any vacation rental you view on a booking site has been listed there by the vacation rental management company that actually manages the rental. The booking site allows the vacation rental company to list their rooms in exchange for a commission on the rental amount, usually anywhere between 15% or 20%. To offset that commission, vacation rental managers increase their rates for their listings on VRBO, Booking.com and Airbnb. Plus, some of these sites, like VRBO, also charge a booking fee on their reservations that make the total price even higher. You’ll always avoid higher prices and fees and get the best available rate by booking your vacation directly on the vacation rental company website, and that’s before you arrive. Once you arrive for your vacation, you may find that certain amenities and activities are not included with your stay since you didn’t book directly with the rental management company. If that’s the case, you’ll end up paying more fees to gain access to things that would have been included if you had booked direct. Since booking sites don’t manage the rentals that are listed on their sites. They are not as familiar with the rooms or resorts that they offer for rent. Let’s say you’re looking at renting a room at The Beach Club on Booking.com. You’d be able to see photos and some kind of description of the room you are looking at, but that’s all the information that Booking.com would be able to provide you. What if you wanted to know more about the restaurants or activities at The Beach Club or even just in the Gulf Shores area? com would be unable to help you. When you deal with the vacation rental company directly, you are dealing with the people that are involved in running the resort everyday so they have firsthand knowledge about the resort you are looking at plus they will have feedback on all the fun things to do in the local area. Booking sites exist for one reason – booking your vacation. That doesn’t seem like a big deal, until you think about. When you book your vacation on a booking site, as soon as your reservation is confirmed their job is done and you’re on your own until you arrive for your vacation. This means that you’re missing out on things that vacation rental companies offer prior to your arrival to make your vacation more enjoyable. Want to reserve a set of beach chairs before you arrive to make sure you get a front row view of the water? What about make your restaurant reservations before you arrive? How about doing an express check-in so you can skip the front desk and go straight to your room when you arrive? Well if you didn’t book direct you’re probably out of luck, you’ll have to wait until you arrive and just hope there are still some beach chairs still available on the back row. There you have it, booking direct is the best way to get the best vacation possible at the lowest rate. Many people looking to book a vacation don’t realize they have so many options when it comes to making their reservation, but doing the research before you book, and knowing the difference in your options, could make you the hero of your next vacation by saving it before it even starts.